I used to think of myself as a Missionary Kid…an MK. My parents were missionaries. I was their kid. The title made sense. Much later I was told we were actually Third Culture Kids. It was a little more convoluted but it also seemed appropriate. I had a passport from one country– travel documents tethering me to Canada and yet I had grown up in a completely different country. 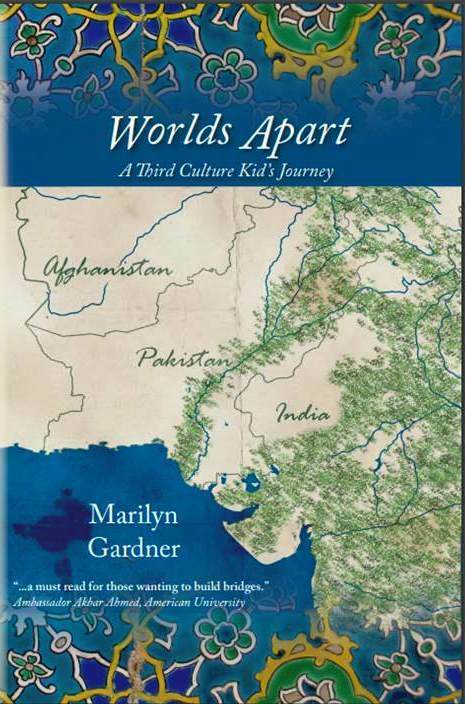 Childhood and an entangled emotional root system tied me to Pakistan. I was neither truly Canadian nor really Pakistani. I was from this third culture, this nebulous nomadic space. I was a Third Culture Kid. As an ornery adolescent I resisted these labels. We were no such thing. We weren’t sick. We didn’t need a diagnosis. We were kids: normal, noisy, hormonal, opinionated. How dare ‘they’ try to box us into this container as if we could somehow be explained. I was Robynn. Pure and simple. Landing in a foreign country, Canada, and trying to remember why I was attached at all to that strange place left me reeling. I felt the country carpet pulled out from under my feet. I longed for any explanation for why I felt the way I did. I wanted a label to explain it. I longed for a box to crawl into and hide in. Suddenly displaced and alone it all made sense. There was comfort in recognizing there were others out there, perhaps, a little like me. I remember the day I realized, much to my shock, that being a TCK wasn’t something I was going to grow out of. I had graduated from a Little College on the Prairie and I was living in Langley, BC with my brother and another TCK friend, Dave. Each of us were working jobs that paid the bills. We had found a church we weren’t hating and we began to settle into adulthood, together. During that time I met an old friend of my Auntie Carol’s. Sue, as I remember, was also a TCK. She was probably a couple of decades older than I was but she kindly invited me to meet a group of TCKs that met regularly to encourage each other. I was pleasantly surprised to meet and to be invited into this eclectic circle of other displaced persons from all over the world. All of them were significantly older than I was. Most were in their thirties and forties. There were some older grey heads in the room. I sat quietly through that afternoon and listened. These were adults. They were struggling to commit to buying a house. They wanted to travel. In those days before cell phones their long distance phone bills were points of contention. They had spouses who didn’t understand their restlessness. Most of them longed for some sort of global impact. They felt bored by typical 9-5 jobs. They wanted to matter. They still felt out of kilter culturally. They still had parts of their hearts abandoned in other countries of the world. Many of them were beginning to work through the after-effects of boarding school, the unintended consequences of those early separations were affecting their own parenting, their abilities to make decisions, their faith. I remember hearing what they were saying and feeling horrified that this was a thing I would have to contend with my whole life. In those months immediately after college I was so certain I was on the edge of finally “getting it”…I was about to settle, I just knew it… I was about to become fully Canadian again. Sitting there listening in on the struggles of those on the same journey as I was was overwhelming, and it weighed me down. I had no idea. Now I am one of those same grey haired older adult TCKs (or I used to be until my hairdresser dyed me a fiery feisty red!). How I would love to go back to that group and learn from them. How I wish I had a similar circle to sit around and air my own struggles and strains. I long for that type of community that might understand me deeply in those darker, quieter, confused places of my soul. I battle restlessness. I want my life to matter. I also want to have a global impact, a broader purpose. My heart breaks with mercy for justice in Nigeria, in Ukraine, in the Central Africa Republic, Syria, Malaysia. I perpetually feel my square self struggling to fit into my round surroundings. The left-over separation anxieties from boarding school still tighten my chest at the thought of leaving my own children for any length of time. This label still fits, all these years later. I am still an adult Third Culture Kid. These are the days when people want to know themselves. They want to be known. Personality tests are rampant on the internet. Which Harry Potter character are you? Which musical would you be most likely to star in? Which Biblical Character are you? Which Disney Princess? As an Adult Third Culture Kid I also want to be known. I want to be understood…. When I was a young TCK I was up against my own ignorances. I had no idea how Canada worked. I had to suss it out. All my senses turned on. I listened for cues. I quietly, subtly observed my surroundings. I intuited how the system worked. Still now as an older adult TCK I still rely on these strategic tools —except it’s harder now with bifocals! I can’t see life on the edges…it’s all blurry and bothered. I find myself removing my glasses when I enter a new situation as I try to find my bearings. I suppose that’s how it’s always been though…a little blurry on the edges. 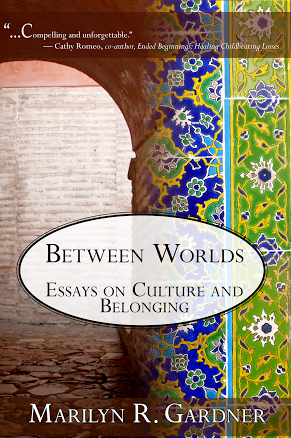 Perhaps the Aging Adult Third Culture Kid sees better than she thinks she does. Finally a little clarity! Thanks for this post! After the re-entry and initial TCK stuff is done you wonder. I had quite a lot of conversations with middle aged TCKs recently and we all asked if we’d ever outgrow this status. You’re right, it’s so important to keep in mind that it’s not a disease or weirdness, it just comes with a few extra “challenges.” I guess every stage of life will force you to re-evaluate your TCKness in all of this. This can be a struggle, but can also be a space for growth. Yes, yes, and yes. Yes on being homesick for 3 places at once. Yes on thinking, “I go t this” and then finding out years later that you didn’t. Yes on peace and justice (is this from our parents? or the circumstances?) Yes on identifying with things from the second culture that may not seem logical or fit with the rest of our personality or demeanor. Yes on the restlessness and thinking that our spouses of many years still don’t quite “get it”. Your comments brought tears to my eyes. Our struggles are real. They matter. Thanks for connecting with me. Thanks to you too! Looking forward to reading more of your writings. Amazing, and true. Where to even begin? I get teary eyed reading all this.. It helps me understand my restlessness, plus all the rest. There is too much to say, too little space. As an MK I grew up on the African side of the Mediterranean, lived in France, Switzerland and Ireland before coming to the US, my passport country. More recently I lived in Korea for a couple of years (a 4th continent). Anyway I’m glad I discovered you. I grew up moving around the US until I was almost 17. That’s when we moved to Kenya, then Zaire, Spain, and back to the US for a few years. After I got married, there was more moving around, including a couple of years in West Germany. For the last 24 years, I have lived in the same town in WA however, I have traveled a bit around the US. But, I have not lost my wanderlust. I want to return to Kenya, Spain and see other places before I get too disabled to enjoy the trip. I guess I will never lose my interest in travelling. And yet, I wonder how long we will stay. I am pursuing my doctorate in education at the University of Kansas, even though I am also greying and wearing bifocals these days. I love working at the university. The students in my classes are wonderfully diverse. I have sat in the food court and listened to at least 5 different languages being spoken at once. I have made friends from around the world. And whenever I see pictures or hear the news from West Africa or Eastern Europe, I get tears in my eyes. When I was still in college, my father died. Just weeks after his funeral, I had a life-changing experience that has profoundly affected me. I was standing on the soccer field one stormy spring night, letting myself be drenched by the rain, raging over the losses in my life, of my child hood home (I have never been back to Africa), of friends I would never see or speak to again, and most of all of my father, who died far too young, and whom I loved fiercely. That night I realized I could continue to mourn him and my lost life for the rest of my days. Or I could choose to rejoice in my rich heritage, to remember well, and to pursue joy wherever in the world I made my home. Intentionally making a home, wherever I am, that captures all the characters I have been in my separate lives around the world, has been my best relief for always having to leave, to say goodbye. by now most of (the weight of) the bookshelves is in our basement, quite heavy for the two higher levels of the house. Before we moved here about thirty years ago, in our married life our longest stays were nine years (four places) New York City, five years (Millburn, NJ) 1975-1980, leading to the ordination of my spouse as Presbyterian minister. For twenty-seven years she served as senior pastor here in the northern part of Virginia, retiring 2011 September 1. Have you heard of MyRetirement dot Org? Cynthia! I would love to meet you…. we live just down the road in Manhattan, KS! Thank you for interacting so honestly with this piece. I love your last paragraph. My father in law just died 6 weeks ago and we are in the throes of making plans for my mother in law. It will likely involve a move for our family (just down the street!). The challenge to (and I quote you loosely! ), “intentionally make a home, wherever we are, that captures all the people we’ve been in our separate lives around the world” sounds like the perfect antidote for some the reservations I’m feeling. Summers are nutso for me with three kids at home..and this summer is especially crazy with the chaos of unsettledness —but once school starts back up again in August, if you had time and if you were so inclined, I’d love to meet in Topeka for lunch or coffee. Email me if you like (rob@allyns.net). It seems like for some of us, the wanderlust never diminishes so we end up a choosing a life or circumstances that allow us to continue wandering. When I started dating my husband, I knew because of his job, that ours would be a life of adjustments to new places and making new friends. One of my hardest moves was a two-year stint in the States, even more in Houston, in the town I call “home.” I had so little in common with the other mothers at school whose children had been together since they had started in the three-year-old program. I was delighted when the next transfer back overseas came sooner than we were expecting. Now we are looking ahead to the next few years and eventual retirement. I don’t think we can settle in one place. It’s a discussion that comes up frequently. What to do? I do NOT have that wanderlust, but rather I deep desire to stay put and grow some roots! I’m pushing 60 and have lived in at least 30 houses with another imminent move (just 1 block) but knowing we may have to move again in another yr or 2…I think it depends on our personality as well as our background. My hubby has ADHD which may contribute to the reason we’ve moved so much? If he knew then how hard it would be on me and the kids he would have stayed put~but when you’re younger it’s an adventure. Iv’e had chronic fatigue and depression for 26 yrs (now I realize I have myalgic encephalomylitis~which sounds so much more complex~and it IS!) I know that I will never be truly at home “til I reach Heaven. There is a special bond with others who I grew up with on the mission field (Taiwan) and I’m going to do my best to make my 40th Morrison Academy class reunion in WA state this summer…I also have that interest in international events and love getting to know people from other cultures. (we’ve been managing a couple apt bldgs in a University town, so that helps!) Our church also has a wonderful ministry to international students (mostly Chinese) which I want to get more involved in. Oh Nicole! Your comment breaks my heart. I feel the agony behind your words. You are not alone. This Communicating Across Boundaries community has helped me realize just how many of us invisible immigrants there are out there. Thanks for commenting on this. Thanks for this Robynn. It’s great to hear it articulated…..the sense of restlessness, the longing for some sort of global impact, the being bored by typical 9-5 jobs, the wanting to matter. I’m an adult TCK too, but hadn’t ever linked those particular traits to being a TCK….just thought it was yet another way in which I’m different! And yes, I too still feel out of kilter culturally; still have parts of my heart abandoned in other countries of the world….still feel envious whenever anyone else gets to fly somewhere while I stay put! Your comment made my day! Thank you for your encouragement. I know about the residual wanderlust. Even now my husband is in Kenya and I’m not. It stings my spirit to think about it! I am, I’m afraid, forever ruined. Do you know and have you been in touch with Elaine Neil Orr (Gods of the Noonday; and A Different Sun; plus Tillie Olsen books)? Some things in common, I believe. I haven’t…. I wonder if Marilyn has? I’ll track her stuff down though…. I love reading someone who “understands” me! Thanks for the tip.